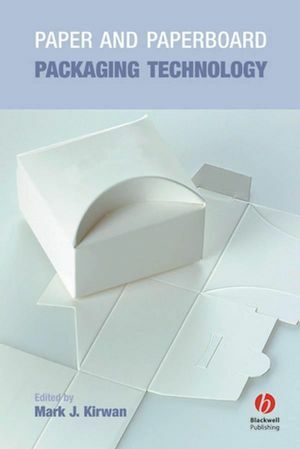 This book discusses all the main types of packaging based on paper and paperboard. It considers the raw materials and manufacture of paper and paperboard, and the basic properties and features on which packaging made from these materials depends for its appearance and performance. The manufacture of twelve types of paper- and paperboard-based packaging is described, together with their end-use applications and the packaging machinery involved. The importance of pack design is stressed, and how these materials offer packaging designers opportunities for imaginative and innovative design solutions. Environmental and waste management issues are addressed in a separate chapter. The book is directed at those joining companies which manufacture packaging grades of paper and paperboard, companies involved in the design, printing and production of packaging, and companies which manufacture inks, coatings, adhesives and packaging machinery. It will be essential reading for students of packaging technology. 1. Paper and paperboard - raw materials, processing and properties. 2. Environmental and waste management issues. (Welton Bibby & Baron Ltd). (The Environmental and Technical Association for the Paper Sack Industry). "This book is a valuable addition to the library of any forward-looking company by providing in-depth coverage of all aspects of packaging which involve the most ecologically acceptable material, namely paper and paperboard." "The book is directed at those joining companies with manufacture packaging grades of paper and paperboard, companies involved in the design, printing and production of packaging, and companies which manufacture inks, coatings, adhesives and packaging machinery. It will be essential reading for students of packaging technology." "...a welcome contribution to a field where coverage was previously limited to subject-specific books...or to single chapters in textbooks on broader aspects of packaging technology."